Buffalo chicken wings dipped in blue cheese dressing are classic pub grub and game day food. The same ingredients can be used to create a seriously addictive dip! This recipe could not possibly be easier to throw together, it cooks up in no time and the results are delicious. On top of that, it reheats perfectly in the microwave. 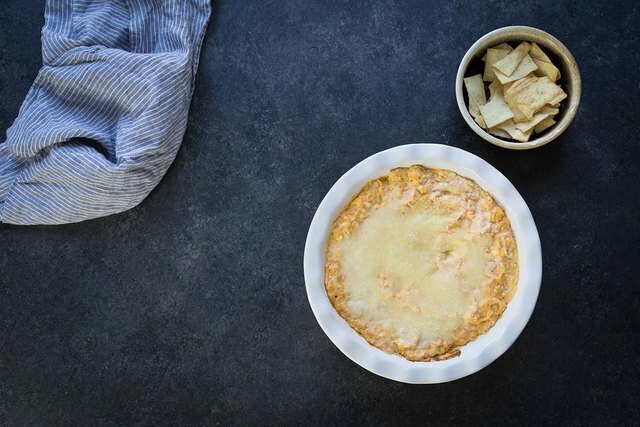 Serve this buffalo chicken crack dip at your next party, and people will beg you for the recipe! While shredded rotisserie chicken is listed in the ingredients, you could also use plain chicken breasts that have been poached or baked and then shredded. Buying a rotisserie chicken is just a great time saver. 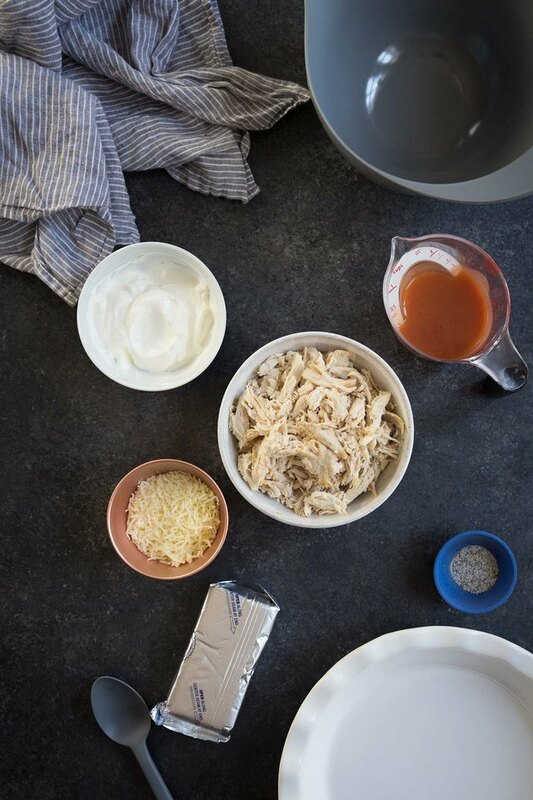 You can also get creative with the shredded mozzarella cheese, swapping it out for your favorite cheese blend. Monterey jack and mild cheddar would also be good options. 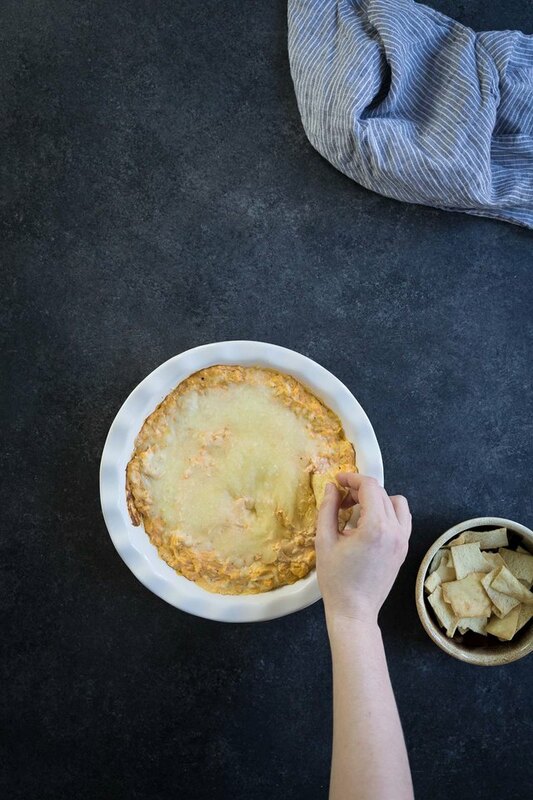 It simply adds a nice, gooey cheese layer on top of the dip. Preheat the oven to 400 degrees Fahrenheit. 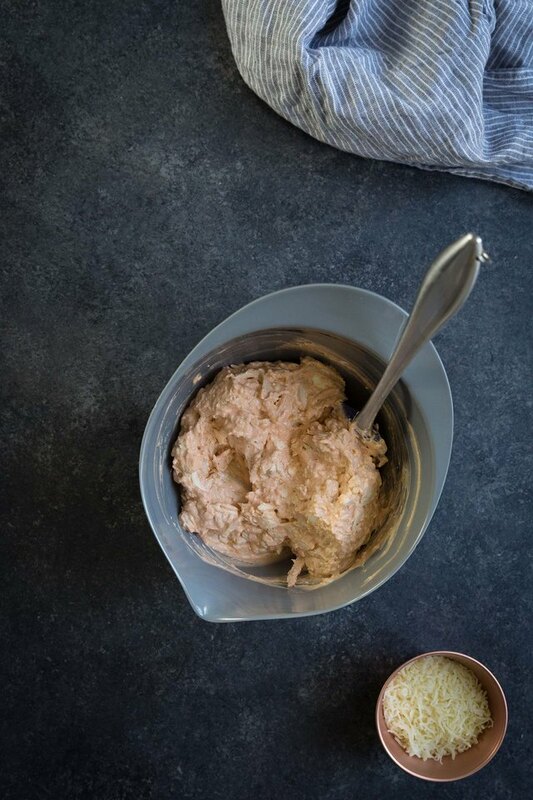 In a large bowl, mix together the cream cheese, sour cream, hot sauce, blue cheese, salt, pepper, and onion powder. Add the rotisserie chicken and stir until evenly combined. 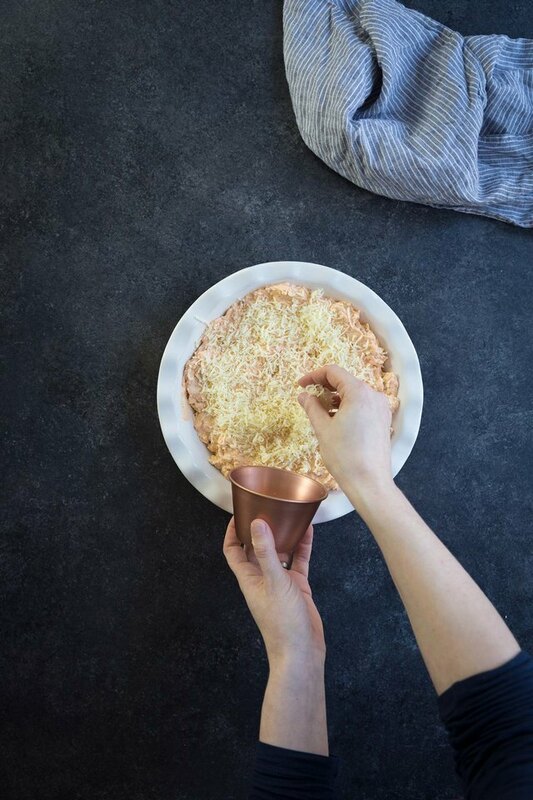 Spoon into a 9-inch pie dish (or a similar sized oven-safe dish), and sprinkle the mozzarella cheese evenly on top. Bake for 20 to 25 minutes, until bubbly and hot. Serve with crackers, crostini or vegetables. To reheat, microwave in 30 to 60 second increments, stirring, until the cheese has melted. How Do You Make Wing Sauce Stick to the Wings Better?